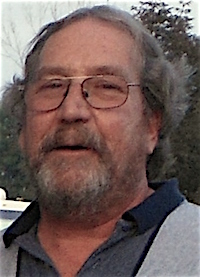 Michael Joseph Caselton, 58, long time resident of Berthoud, passed away Saturday, March 5, 2016 at Pathways Hospice Care Center in Loveland. He was born December 19, 1957 in Alton, Illinois to Marvin and Shirley (Baecht) Caselton. After high school, he served his country in the U.S. Marines. He married Nancy Zimbleman on November 24, 1984. He enjoyed fishing and watching the Denver Broncos with his best friends. Michael also loved Christmas time and wearing his Santa hat. He is survived by his wife Nancy; son Brandon (fiancé Kristin) of Berthoud; siblings Sherry Ventimiglia of East Alton, Illinois, Marvin Caselton (Maudie) of Brighton, Illinois, Mark Caselton (Karen) of Stauston, Illinois, Sandy Amburg of Alton, Illinois, Merle Caselton of Alton, Illinois, Sheila Martin (Chuck Connor) of Bethalto, Illinois, Sarah and Joe Douglas of Brighton, Illinois and Stacy and Curt Stone of Dow, Illinois; as well as several nieces and nephews. Cremation was handled by Viegut Funeral Home. A casual get together will be held on Sunday, March 20, 2016 at the Spindler Home at 12439 Rock Lane in Longmont, from 1pm-4pm, where we will laugh and converse about Michael’s life. Go to www.viegutfuneralhome.com for condolences. Site contents copyright © 2019 Recorder Online	except as noted. All rights reserved. | 90 queries in 2.114 seconds.